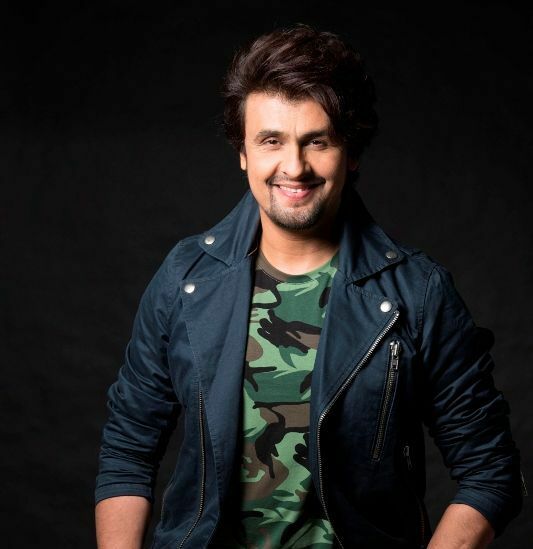 Sonu Nigam was born on 30 July 1973 (age 45 years; as in 2019) in the Faridabad City of Haryana, India. His Zodiac sign is Leo. His did his schooling from J.D.Tyler School in Delhi and graduated from the University of Delhi. He started his singing at the age of 3, where he would accompany his father to wedding ceremonies and parties. He later moved to Mumbai, where he got trained under legendary Indian classical singer Ustad Ghulam Mustafa Khan. 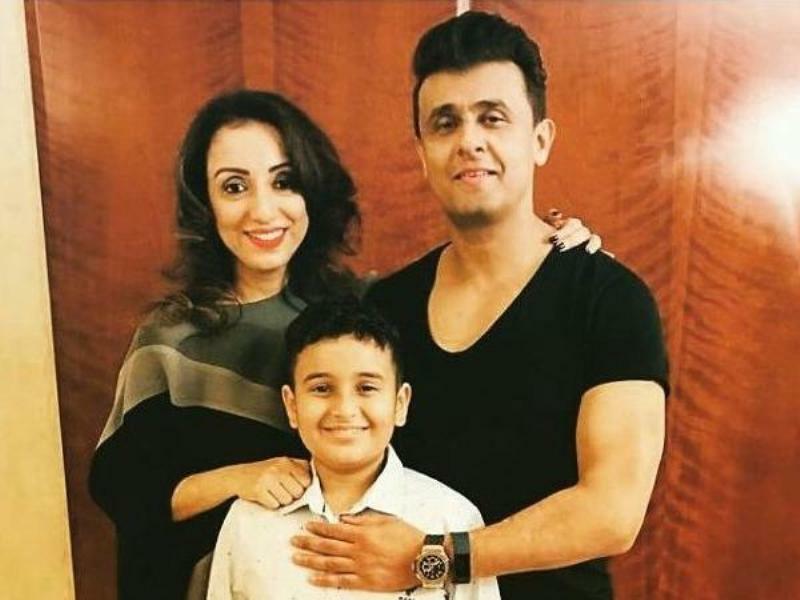 His father’s name is Agam Kumar Nigam who is from Agra and is also a Bollywood singer. His mother’s name is Shobha Nigam who is from Garhwal. 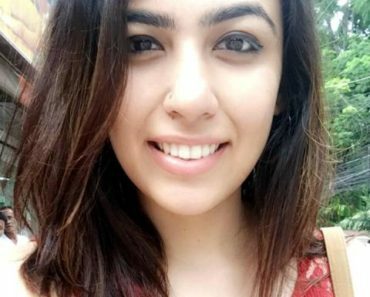 He has two younger sisters named Teesha Nigam (Neekita Nigam) and Meenal Nigam. 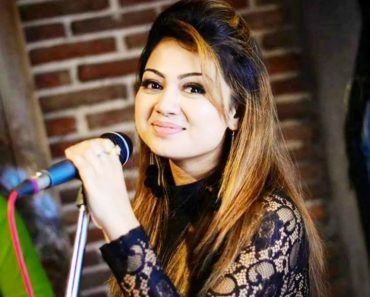 Teesha is also a professional singer. 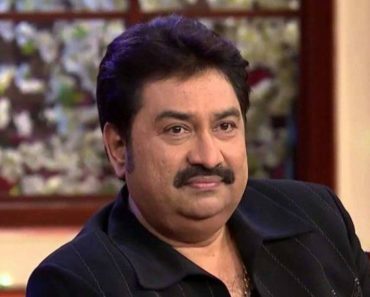 He married Madhurima Nigam on 15 February 2002, and they both have a son named Nevaan. His first song as a playback singer was for the film Janam (1990), which was never officially released. He began making radio commercials and started acting in them. 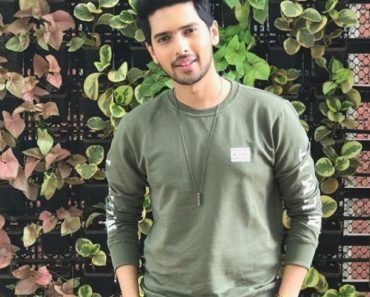 His first released song is “O Aasman Wale” from the movie Aaja Meri Jaan (1993). He released his first album “Rafi Ki Yaadein” in 1992. 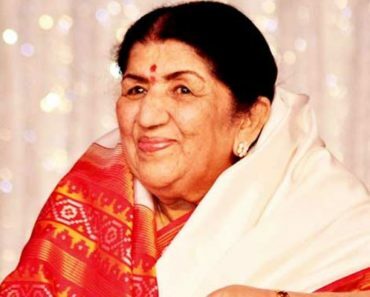 His first hit song was “Accha Sila Diya” from the movie Bewafa Sanam (1995). 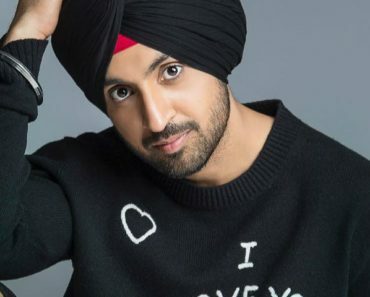 He debuted as a music director in the “Singh Saab The Great” in 2013. Apart from that, he has also tried his hands in acting. His debut as an actor was in the age of 10 when he played the role of young Sunny Deol in the movie Betaab (1983). His debut film as a lead actor was with the movie “Love In Nepal” in 2004. 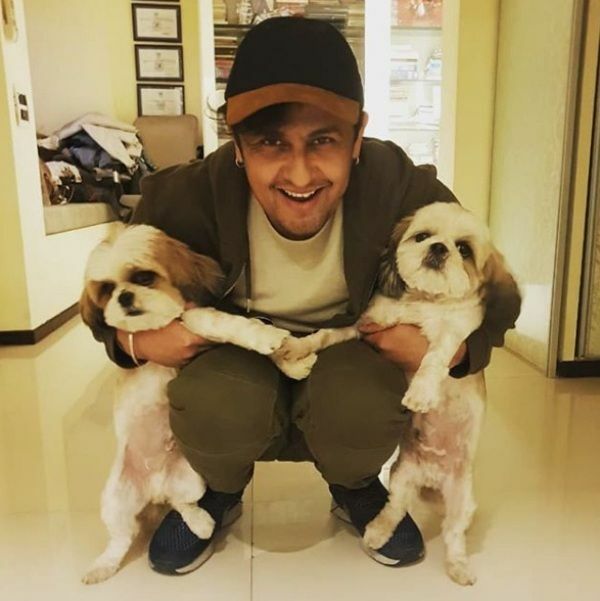 Sonu Nigam sparked the controversies in 2017 after he tweeted about feeling disturbed by “Azaan” that was being played in loudspeakers and disturb his sleep. He even called it ‘forced religiousness.’ His tweet hurt the religious sentiments of the Muslim community. A fatwa was issued by a cleric that whoever shaves Sonu’s head and puts a garland of the shoe around his neck will be given the reward of ₹ 10 lakhs. He responded by shaving off his head demanding the money from the cleric. Spiritual Guru Radhe Maa was accused of several cases along with the dresses she wore. Sonu Nigam supported her by saying “Just my 2 pence. Kaali Maa is depicted in lesser clothes than Radhe Maa. Interesting that this country wants to sue a woman for her clothes.” The comment arose criticism countrywide, and FIRs were filed against Sonu for hurting religious sentiments of the people. He announced his retirement from the music industry after an ongoing issue with the leading music label. He also expressed his displeasure over the contractual some issues. The company and Sonu Nigam later reconciled two years after the incident. It was the time of the release of the movie Ae Dil Hai Mushkil (2016) where Anushka Sharma utters a dialogue “Mohammed Rafi? Woh gaate kam rote zyada the na?” that arose backlash from the Rafi’s fans. Sonu Nigam was amongst them who also lashed out at filmmaker Karan Johar. Karan Johar responded back with an equally sarcastic note leading to a drift of opinions between the two. 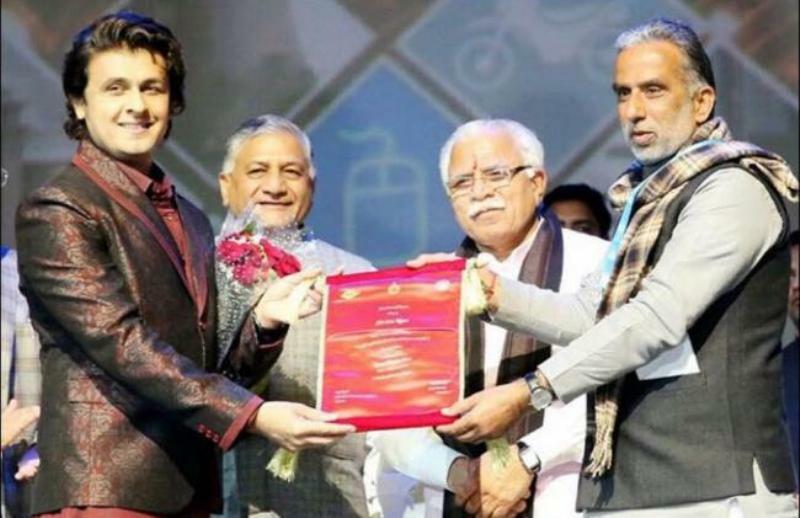 In an Agenda Aaj Tak Summit, Sonu said “Wish I Were from Pakistan” that created a rage amongst Indians. Sonu later responded saying that media persons attempt to make catchy headlines while they miss the actual content. 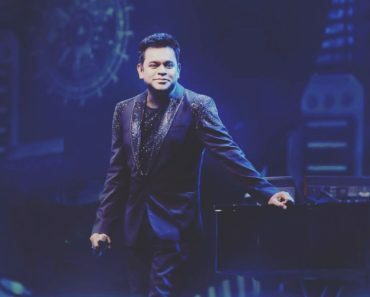 He added that Indian singers have to pay 40-50% of their concerts remunerations to music companies, while in other countries namely Pakistan, they work with the artists but don’t ask for the same. His net worth is $ 8 million. He earns ₹ 6-7 lakhs per song. 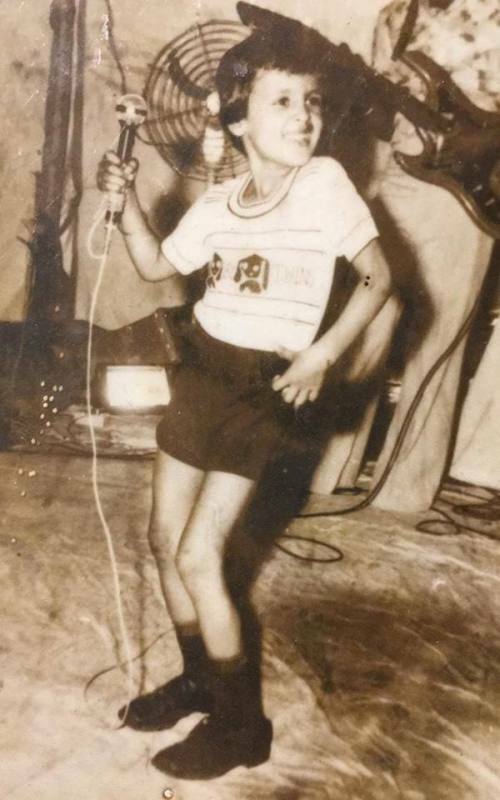 His first stage performance was “Kya Huaa Tera Vaada” by Mohammed Rafi when he was just 3years old. He is trained in Taekwondo. He has a fear of cockroaches. He is also known as the Elvis Presley of India. He enjoys mimicking fellow singers and actors. 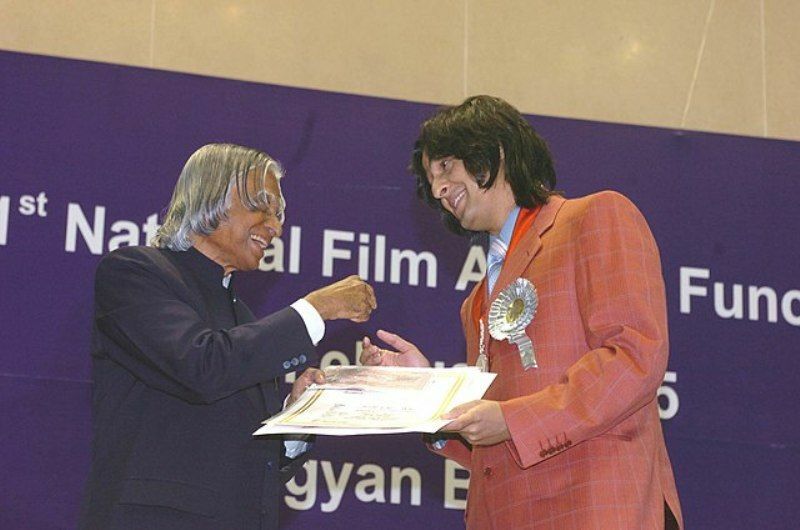 Sonu had the hairstyle similar to late A. P. J. Abdul Kalam, while receiving the National Award from him. 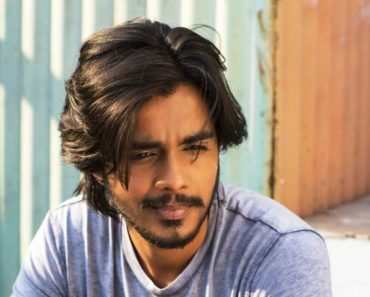 He has done Hindi voice-overs for Hollywood films like Aladdin and Rio. 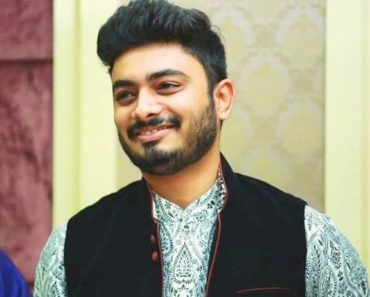 He has sung in various languages which include Hindi, English, Bengali, Manipuri, Gujarati, Tamil, Telugu, Marathi, Tulu, Assamese, Odia, Nepali, Maithili, Malayalam and Kannada. He has judged singing reality shows like Sa Re Ga Ma Pa, Kisme Kitna Hai Dum, and Indian Idol. He disguised himself as a beggar and performed an act called “The Roadside Ustaad” on the streets of Juhu. He once got skin allergy due to the consumption of seafood. He owns three dogs namely, Goggles Nigam, Shifu Nigam, and Zen Nigam. He once did an unplanned performance in a flight. Jet Airways suspended all the cabin crew of flight for enforcing corrective measures and disciplinary actions.